6th March 2014 – On 7th June 2014, Elsa Hammond will begin her epic 2,400 mile solo row across the Pacific Ocean. The world-record breaking attempt will see Elsa row up to 16 hours a day to become the fastest and youngest woman in history to achieve the feat . Using up to 8,000 calories a day, it will be an incredible example of Elsa’s physical and mental strength, and she will need all her spirit and determination to cope with the three months of extreme isolation, challenging environment and grueling conditions. 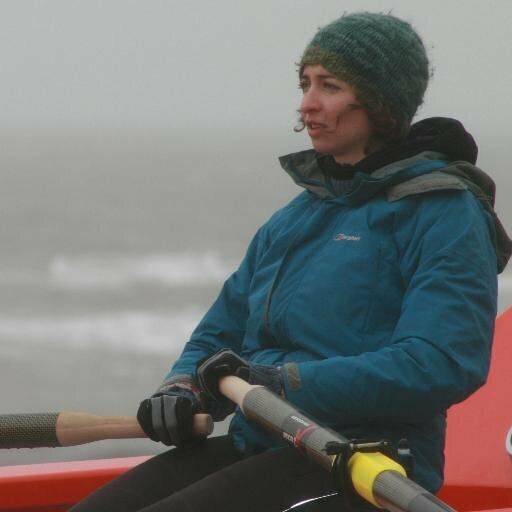 With no engines or sails, she will make the journey from California to Hawaii under her own power while aiming to join a select list of women who have rowed an ocean alone, a group smaller than the number of people who have walked on the moon. Elsa is launching ‘2,400 miles: 2,400 women’ to celebrate the contributions of inspirational women across the world. Coinciding with International Women’s Day, the public are encouraged to nominate an inspirational woman in their life by dedicating a specific mile in their name. Supporters will see their woman of choice’s name printed on the custom-built boat, ensuring they become a personal and integral part of Elsa’s mission. The journey will be part of the inaugural Great Pacific Race and Elsa will be raising money for environmental charity, The Plastic Oceans Foundation, and ] gender equality charity, the GREAT Initiative. For more information on Elsa, please visit her website and to take part please visit the campaign page here. Elsa will also be sharing her journey on Facebook, Twitter and YouTube. Elsa Hammond is a dedicated athlete with a history of taking on difficult challenges. Her past achievements include rowing for her college at Oxford University, pole vaulting at varsity level, sailing in the South Pacific, conservation efforts in the Borneo jungle and daring expeditions on foot, including a heroic attempt at traversing the Black Cuillin Ridge. Elsa is preparing her mind for the physical exertions and isolation of the row, and has the support of world-class coaches, nutritionists and trainers. She holds professional qualifications including RYA Yachtmaster Offshore Theory, First Aid at Sea and a VHF Radio licence. For more information, please visit http://www.elsahammond.com. To achieve the solo and unsupported feat, the 2,400 miles: 2,400 women campaign was created to mark International Women’s Day and celebrate the world’s inspirational women by providing Elsa the support she needs. The public are encouraged to make someone they know a part of this once-in-a-lifetime challenge. By dedicating a mile for £42 (the cost of the row split across 2,400 miles) to an inspirational woman in their lives, their chosen woman will receive a message of support or memorial when their mile is reached. Their names will also be printed on the boat, accompanying Elsa throughout her journey.